Once upon a time the Project Greenlight co-winner for Battle of Shaker Heights, although Kyle Rankin admits that only after filmmaking fads are past their prime that that's when he thinks he might want to make one, the Night of the Living Deb director's first foray into found footage horror is mostly a success. 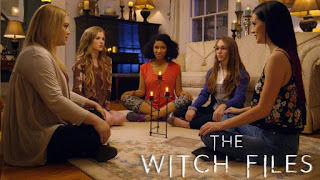 Set in and around a Brunswick, Maine high school where five girls from different backgrounds become unlikely friends after a new student manages to set off the fire alarm with her mind and gets them released from detention, The Witch Files is presented as a series of clips compiled by security cameras as well as digital footage shot by the characters themselves. And even though, as the school’s Queen Bee Brooke (Alice Ziolkoski) jokes, "trying to be a witch in Brunswick is like wearing Mouse ears at Disney," the girls are intrigued enough that they ask the faux firestarter Jules (Britt Flatmo) to teach them how it was done. Agreeing to meet her at midnight in the middle of a park where (rumor has it) witches were murdered over two hundred years ago, as soon as words are chanted and locks of hair are buried, the five bond together to form a coven. 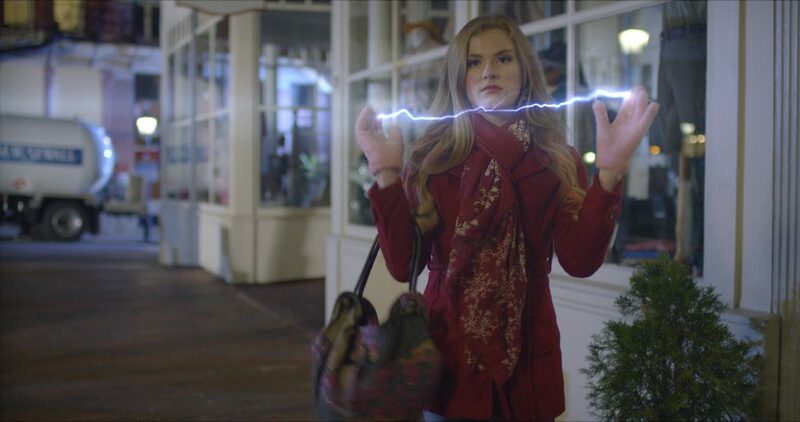 Starting out small while testing out their newfound powers, once they realize they can levitate not only a book but brainy high school reporter Claire (Holly Taylor), things quickly escalate. 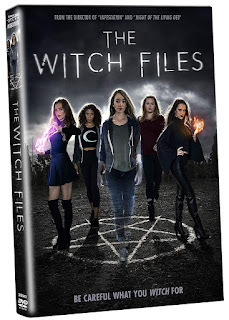 From money-free shopping sprees to wishing for Brooke's mom to stop hitting the bottle and Claire's unemployed dad to find the perfect job, Brunswick's newest witches start using their powers to fulfill their every wish before they learn that nothing in life is free. Discovering that even spells made with the best of intentions have consequences, members of the coven start suffering from strange side effects including double root canals and early onset arthritis. 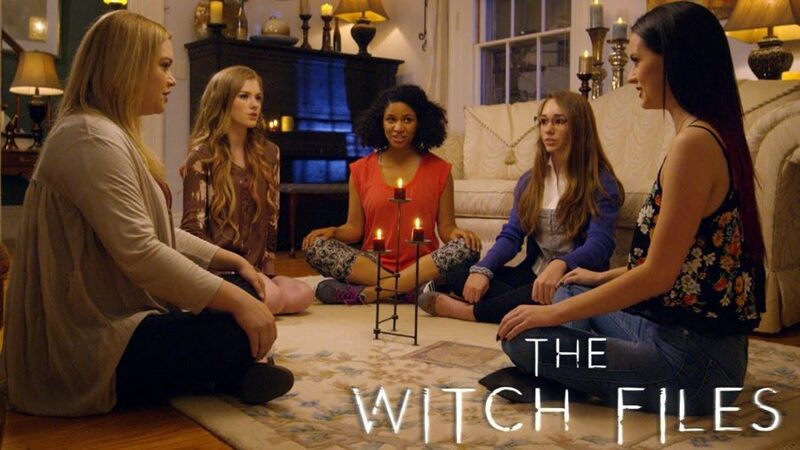 Scared enough that some of the girls refuse to tempt fate anymore, when it becomes apparent that their powers are now strong enough that they don't actually need the entire coven to continue to cast spells, witch is pitted against witch. With each girl wondering not only what is real but also who they can trust, a battle begins brewing which could bring down everyone in the process unless Claire can get to the bottom of what's really going on in Brunswick before it's too late. Penned by Rankin and Larry Blamire, Witch's whip smart script is delivered very handily by its talented cast, especially frequent scene stealer Ziolkoski and the always authentic Americans MVP Taylor as well as Criminal Minds actress Paget Brewster (who also produced) as a local police detective. 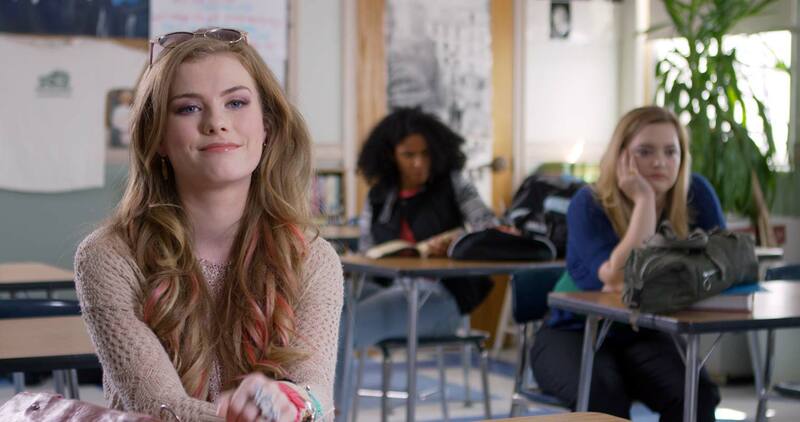 Sure to appeal to those who enjoyed Pretty Little Liars, from his Breakfast Club inspired beginning, Witch feels like an amalgamation of everything from Heathers to Charmed to The Craft and as such, it has more than its share of amused smiles than scares. And while its obviously rushed shoot does hinder a few scenes which just don't deliver the full impact of the words on the page, Witch still manages to impress nonetheless with some terrific wire-work stunts and special effects that up its thrill value (which you can explore in the special features). Threatened to be overlooked in the October onslaught of big budget horror movies pouring onto streaming sites in time for Halloween, for those looking for something off the beaten path that you can safely show your teens which (like many films in the genre) has a worthwhile moral buried within the found footage story, this Witch is for you.